For all dota 2 problems and issues, this is the procedures on how to solve it. 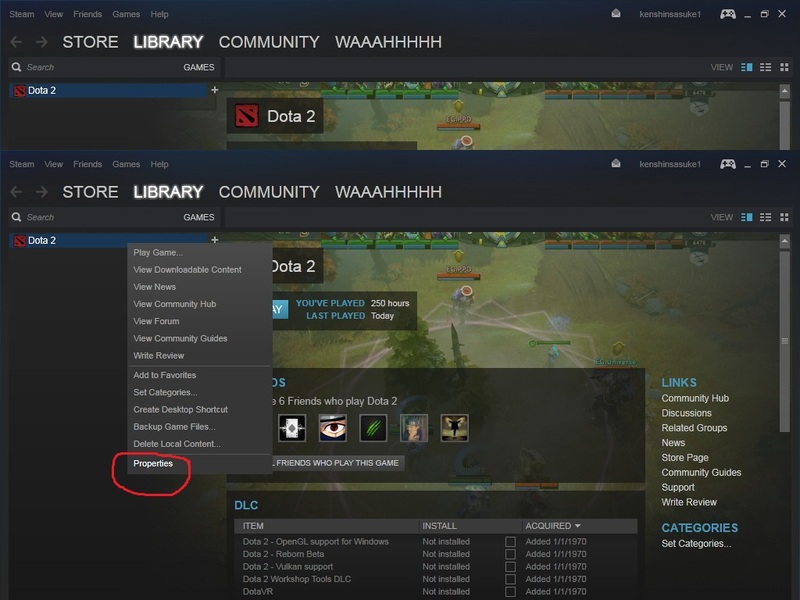 DOTA 2 - Here's the solution to Failed to load engine2.dll in Dota 2 - Error: (0x0000007e) and Failed to load engine2.dll Dota 2 SOLUTION and failed to load dota 2 in game. 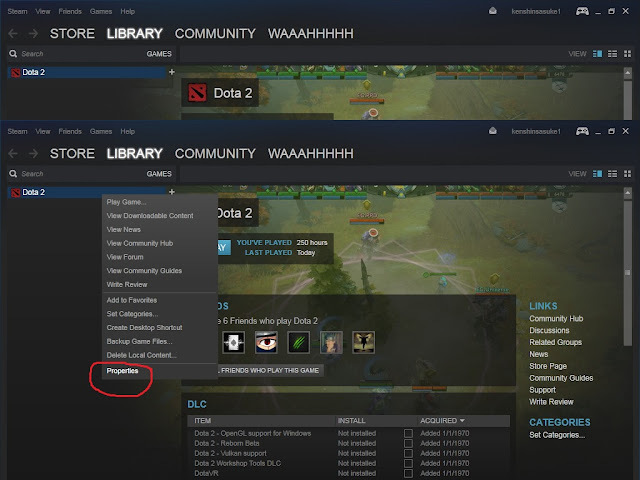 1) Open your Steam Account. 3) Go to your Games. 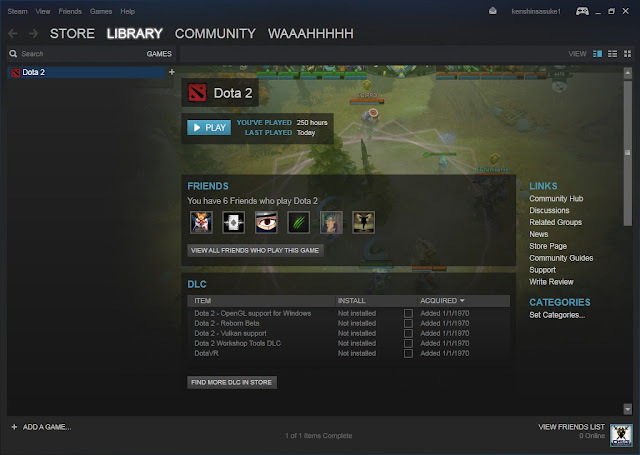 4) Locate and Hit "View Game Library". 5) On the left Side there will be a game list of all the games you have. 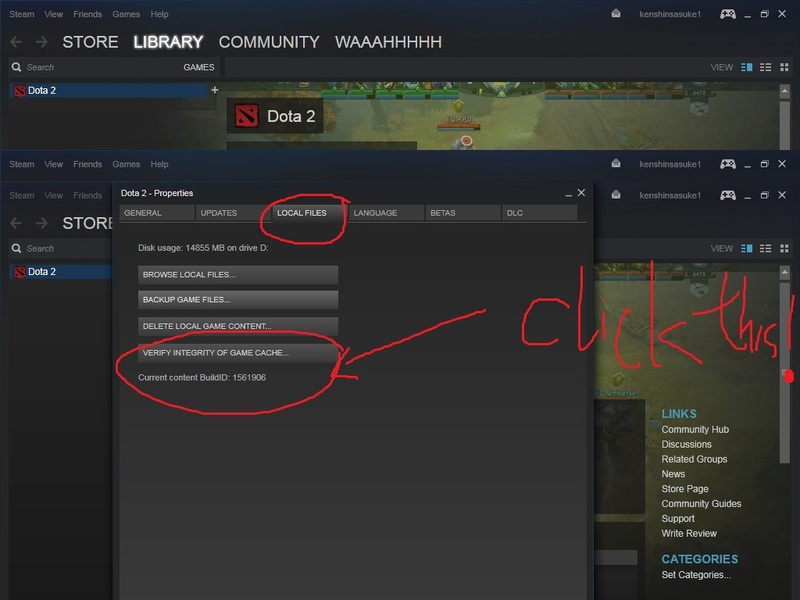 6) Find DOTA 2 and right click on it. 7) When the drop down menu shows up, hit "properties". 8) When the menu shows up click the "local files" tab. 9) When you click this tab 4 buttons will show up. 10) Select "Verify Integrity Of Game Cache". 11) An update bar should show up now'. 12) Wait until you finish the download/update. 13) When you finish the download/update you can hit "close". 14) Hit properties again, then hit the Set Launch options button below then write -autoconfig then click ok.
15) Finally launch DOTA 2! TAKE NOTE: Any problem related to in game issue like cannot run in-game, just proceed to step 14, the -autoconfig. Related problem: Failed to load the engine 2 dll. Path: "C:/Program Files (86x)\Steam\steamapps\common\dota 2 beta\game\bin\win64\engine2.dll"
Error: (0x0000005) Access is denied. I verified game cache, it said there was a file missing, and proceeded to download it. 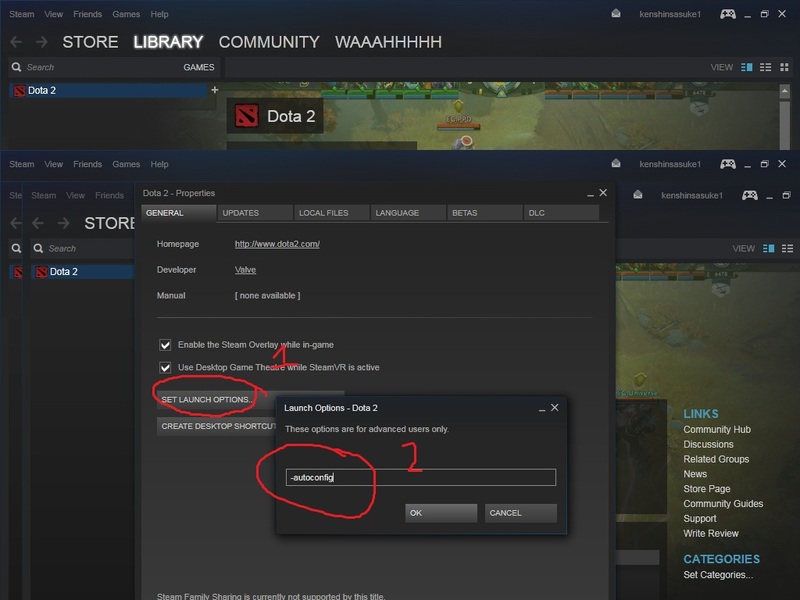 once it was done, i launched dota 2 and the same error again.. anyone know how to fix or if i can just copy osmeone else's dll file? Failed to load the engine 2 dll. I tried this but its failing to download it.. it shows a 1.6 mb download and then it says Paused: Disk read error. So good luck to your DOTA 2 play! So, for now, just play for fun.